At EuroShop 2017, nothing is more important than having a great trade fair booth. Technology and digitization are not just great toys, they are also amazing gadgets to showcase your brand. Virtual reality and interactive designs are major trends. 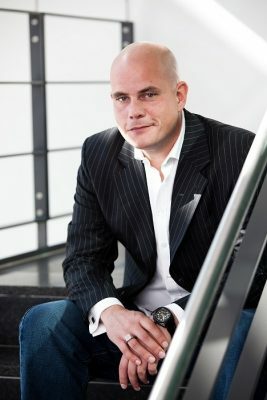 We asked Jan Kalbfleisch, Managing Director of the interdisciplinary association FAMAB, how companies can present themselves. Among many others, FAMAB supports trade fair architects, exhibition stand construction companies, marketing agencies and event catering services in their work. Mr. Kalbfleisch, external communication is especially important for businesses. What does effective self-presentation look like? Jan Kalbfleisch: I believe it is very important for the trade fair and event to be part of a company’s overall communication. A few years ago, this was not the case. Trade show appearances were big, flashy and pretentious. They had little to do with how companies present themselves in everyday life. Yet you need to create a consistent image and not an exceptional, disconnected communication opportunity that does not reflect the work of the company. We notice that companies that choose and perfectly combine the right communication strategies are especially successful. External transparency is essential, especially prior to the trade show and mainly via professional social media channels. You are also going to be an exhibitor at this year‘s EuroShop. What can visitors expect at your booth? 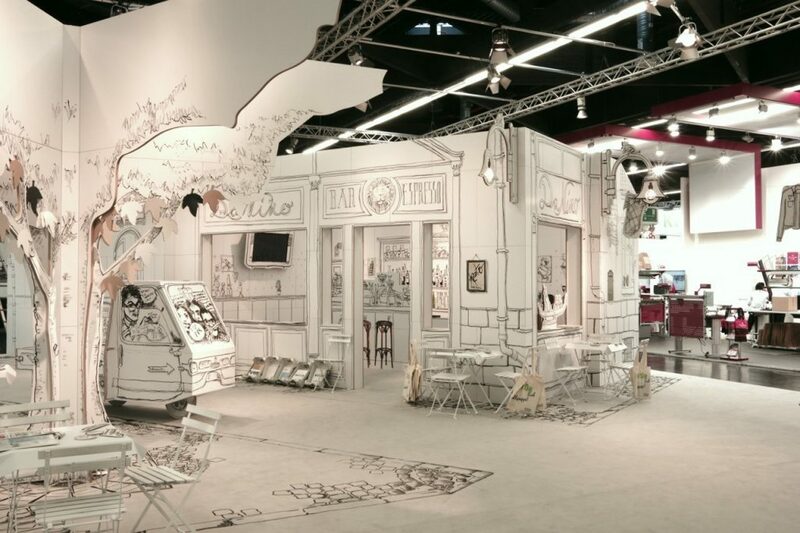 Kalbfleisch: FAMAB has created a very thoughtful yet remarkable booth for 2017. The design is strongly influenced by our logo and slogan. The booth will have a lounge-like ambiance. Our appearance intends to encourage visitors to linger and engage in conversation. Face-to-face interaction is the most important aspect of live communication. We are also going to offer trade show tours this year. We are planning a tour through Halls 4 and 5. We want to show newcomers and interested visitors exceptional trade show appearances and booths of the EuroShop along with a short company presentation. We will also host a seminar with a cooperation partner. It will illustrate what works at trade fairs and why. You are not utilizing these aspects this year, but what role do technology and digitization play in booth construction for exhibitors? Kalbfleisch: They are major trends. Well-equipped booths have a great appeal. Appearances that allow visitors to participate interactively are especially well received and popular. At one trade fair, for example, I encountered a company that makes window profiles. This is a highly unemotional product. However, screens showed additional information visitors could also receive via e-mail. Right now, augmented and virtual reality is also very much on trend. Special glasses let you immerse into different worlds. I am still unsure whether this is actually the right way to go. After all, you become extremely isolated from the outside world with these glasses. Meanwhile, the focus should be on face-to-face interaction at trade fairs. What’s more, special live tracking tools allow exhibitors to understand what visitors were especially attracted to and what they focused on and for how long. The analysis can assist with planning the next trade show. What are the topics of the Expo + Event Forum? Kalbfleisch: Sustainability will be one of the showcased topics. Awards will also play a major role since we annually bestow the FAMAB AWARD and honor the best projects in Europe. Another topic is the future of exhibition area where we present future developments in exhibition stand construction and design. The Expo in Kazakhstan will also be featured in a presentation. Last but not least, there will also be presentations on corporate social responsibility. What are this year’s highlights at the trade fair according to industry experts? Kalbfleisch: This time around, we feature more exhibitors in our field. This includes the largest and most modern exhibition stand construction companies in the world. One highlight is simply the fact that EuroShop provides a marketplace. Here you are able to learn from the pros and see state-of-the-art solutions and how your own company can implement them. That is my most important reason to visit EuroShop 2017.